Prospero recruits for the audio visual, video conferencing and wider IT industries. They have the largest database in the world of audio visual & video conferencing candidates from both the UK and overseas. They work with companies looking to fill a permanent vacancy, long term contract or day to day supply. They also recruit for the education sector as Prospero Teaching, working with thousands of Primary, Secondary, Academy, Special Needs and Further Education Schools & Colleges. ACT first started working with Prospero in June 2010 when they just had one office with about 18 users. Since then, ACT has provided all their IT requirements, systems, hardware and desktop support. In May 2012 Prospero moved to their current office in London and ACT co-ordinated all the technical requirements, including structured cabling throughout. 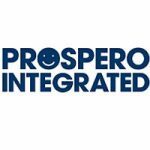 Then in 2013, Prospero entered an accelerated growth phase to become a multi-site business, opening offices in Cardiff in June, Bristol in August, followed by Birmingham and Chelmsford in September. This resulted in growth to approximately 68 users across five sites. In order to accommodate this rapid growth, ACT implemented new servers in the London office, offering remote desktop services and replication of data/application server. They also migrated all email to the Microsoft 365 Cloud and set up improved infrastructure to support Hardware VPN connectivity between the sites and improved back connectivity. They also supplied and configured 36 new workstations. ACT is now working with Prospero to offer ongoing support during this phase of sustained growth.